The cast of Avatar 2 and James Cameron's other sequels in the burgeoning franchise begins to grow. Michelle Yeoh, of Crazy Rich Asians fame, has officially boarded the cast in a new role. These movies have been in the works for nearly a decade and, if all goes according to plan, Cameron will have a five-movie, multi-billion dollar series under his belt. Now, he's got some help from Yeoh when it comes to making sure the forthcoming entries are successful. While there is still a lot of mystery surrounding Avatar 2 and the other planned entries, we have word that Michelle Yeoh will play a new human scientist character in the movies. It isn't quite clear exactly which movies she'll have a role in as 2 and 3 were shot together, with certain parts of 3 and 4 also already in the works. Yeoh's casting was announced via the official Avatar Twitter account. Here's what they had to say. "Michelle Yeoh has been cast in the Avatar sequels as scientist Dr. Karina Mogue. Join us in welcoming her to the #AvatarFamily!" 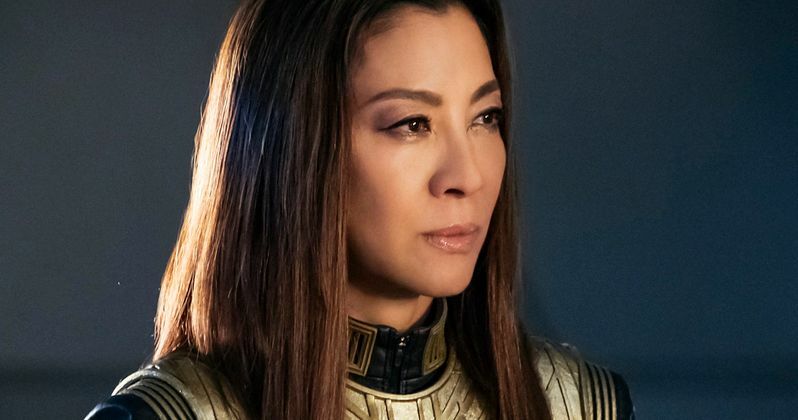 Michelle Yeoh is having quite the run recently. The actress has been going strong in Hollywood for years now, with roles in movies such as Crouching Tiger, Hidden Dragon and the James Bond movie Tomorrow Never Dies. But lately she's been a big part of Star Trek: Discovery and was part of the massive hit Crazy Rich Asians. She also had a minor role in Guardians of the Galaxy Vol. 2. Yeoh is also set to appear in Boss Level and Last Christmas later this year. James Cameron had this to say about the casting. "Throughout her career, Michelle has always created unique and memorable characters. I look forward to working with Michelle to do the same thing on the Avatar sequels." James Cameron has been hard at work actually filming the sequels lately. He already wrapped the motion capture performances necessary for Avatar 2 and 3, which took a lot of time and will involve quite a few underwater sequences. He's now moved onto actually filming the live-action elements of the sequels, with production taking place in New Zealand. So it's pretty safe to assume, at least for now, that Dr. Karina Mogue won't be turning herself blue. At least not right away.